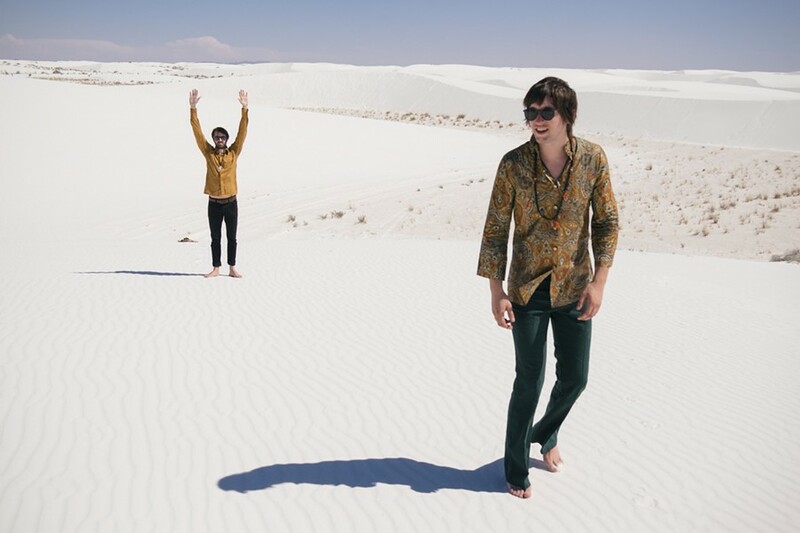 The first thing you should know about Charlotte psych-rockers Shadowgraphs is that the band's two core members — guitarist and vocalists Bryan Olson and Charles "Wils" Glade — are like an old married couple. They finish each other's sentences — even when they're talking about finishing each other's sentences. Glade: "When I first ran into Bryan it was really cool because we were into the exact same kind of stuff; but not just music, also recording equipment — the way we both nerded out on that kind of stuff — and also art . . .
Olson: ". . . like graphic design, collage art, that kind of stuff. . ."
Glade: ". . . and we'd end each other's sentences." The two look at each other and burst into laughter. They're sitting together at a table on the back patio of Workman's Friend gastropub in Plaza Midwood, sipping Bullet Bourbon on the rocks. It's a Friday after work, and the two are excitedly talking about their recent record deal with the Portland, Oregon, indie label Golden Brown, which released Shadowgraphs' debut longplayer Venomous Blossoms in both digital and vinyl formats. On that album, and an earlier EP, Return to Zero, the band introduces an updated dreampop/shoegaze sound that also harkens back further in pop-music history to the late-1960s psychedelia of early Pink Floyd. Formed just three years ago, Shadowgraphs is already making complex, mature music that sounds like the work of a band that's been together for a decade or more. "We had so much in common, we just hit the ground running," says Glade, who's wearing a Southwestern-style silver bolo tie with turquoise inlay over a short-sleeve, multicolored polka-dot collar shirt. "I would say to him, 'I got these chords,' and Bryan would say, 'Oh, I got a verse for that.'" In the next week or so, the band will drop its first video, for the song "Space Medusa," a CGI-heavy clip directed by talented filmmaker Cory Ring, a Charlotte native and friend of the band who now lives and works in Los Angeles. The song — a swirl of guitars with a snaky, fuzzy bass line and high, gently hissed vocals — sounds as though it could be sandwiched between Pale Saints and the Cocteau Twins on an early-'90s compilation of music from the British indie label 4AD Records. Director Ring captured the essence of the song with imagery shot in warm lighting on a Pacific Coast beach at dawn; a Medusa-like character from the future stumbling upon ancient electronic equipment, including a cassette player, and listening, joyously, to the music on headphones as cassette tapes flutter upward in slow-motion. "The video idea," Ring says, "came from listening to the song, listing imagery and themes that came to mind and piecing together a story." Ring has known the members of Shadowgraphs, particularly Glade, for years. "Wils and I grew up skateboarding together. I always was energized by his wild enthusiasm for discovering and sharing music of the past and present," the director says from his home on the West Coast. "I knew of Bryan through his [visual] collage artwork later on. "The thing I love about Shadowgraphs," Ring continues, "is their attention to the subtleties, their blend of chaos within the distortions of guitar, effect pedals, analog warbles, and the order of their layered sounds and attention to detail in the story arc of the sound. The otherworldly qualities and magical realism mixed with sci-fi vibes were definitely an inspiration for the video." Ring captures Shadowgraphs' music perfectly in both words and images. This is music not bound by geography or genre. 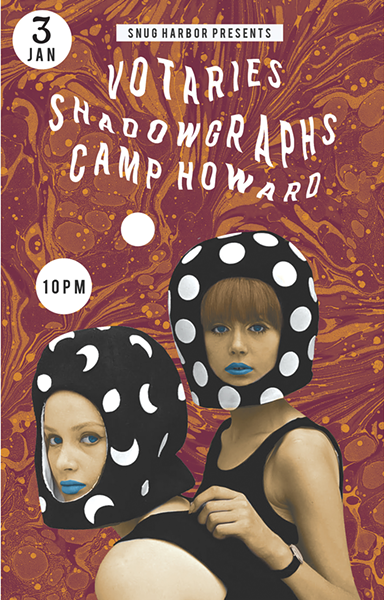 Like all great psychedelic or dreampop artists, Shadowgraphs take universal human truths and lift them just above the surface of human interaction, gently gliding them off to a distant horizon, where boundaries cease to exist. The flutter of sounds throughout Venomous Blossoms zaps barriers that separate the "we" from "them," allowing for a resounding "us," much like taking a tab of LSD might do. The unlikely pairing of Olson, 32, with Glade, 26, happened when a mutual friend suggested that they needed to know each other. It was a musical match made not in heaven, but in the cool, quiet mesosphere between the stratosphere and thermosphere. Neither Olson nor Glade is a Charlotte native. Olson is from Chicago; Glade was born in New Hampshire and raised, partly, in Munich, Germany. "We moved to Munich when I was 8 and lived there for about eight years," Glade says. "My parents divorced and re-married, so I moved around a lot after that. I was thrown into German school and then moved back here. I was in Charlotte for a bit and then after Charlotte went to Vermont, then back to Germany, and now back in Charlotte." Olson's migration wasn't quite as broad. He was still in Chicago ten years ago, trying to figure out what he wanted to do with his life when his older brother Shaun (also known as Dr. Dice, front man for the Charlotte band Miami Dice) suggested he move down to the Queen City, learn to play an instrument and get in a band. "I'd skateboarded through most of my childhood and teens," Olson says. "But I got to the point when I was about 18 or 19 that I felt like, 'You know what? I'm getting beat up on skateboarding. I'm getting hurt and I kind of want to dabble in music.' So my brother said, 'Why don't you move down to Charlotte and pick up a bass? It's easy to learn and we'll start up a little band.'" Olson was 21 when he learned to play guitar. "I guess I got a late start," he says. He made up for lost time, learning the intricacies of guitar interplay as a member of Cement Stars with his brother before nerding out on studio equipment and eventually hooking up with Glade to form Shadowgraphs. 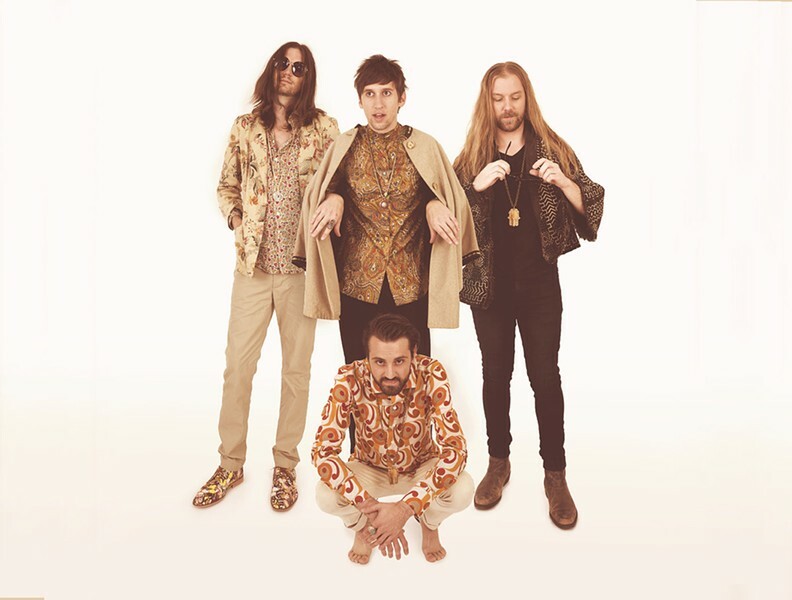 The band released its Return to Zero EP a year later, in 2015, but its sound didn't completely gel until the members went in to record Venomous Blossoms, which begins with electronics and tape manipulation before the tangled guitar lines of "Countryside" give way to a breathtakingly beautiful, '60s-style pop melody reminiscent of Syd Barrett-era Pink Floyd. The title of another Venomous Blossoms track, "Interstellar," subtly references Pink Floyd's "Interstellar Overdrive," from that band's 1967 debut Piper at the Gates of Dawn, but Shadowgraphs' similarly named song is gentler and hazier. Another Shadowgraphs track, "Eastern Holiday," begins with a galloping, Southwestern-style guitar twang before the vocals kick in with a description of traveling through Europe: "Well, 12 o'clock in Brussels is a pleasant way to start / But five more stops to Amsterdam is what you're looking for." The album's centerpiece, both literally and figuratively, is "Hit of Truth," which begins with simple, good-time, Grateful Dead-like guitar interplay before blossoming into more layers of hissing guitar, bass and drums, and the words, "Affectations are overrated" followed later by the plea, "I need a hit of the truth." 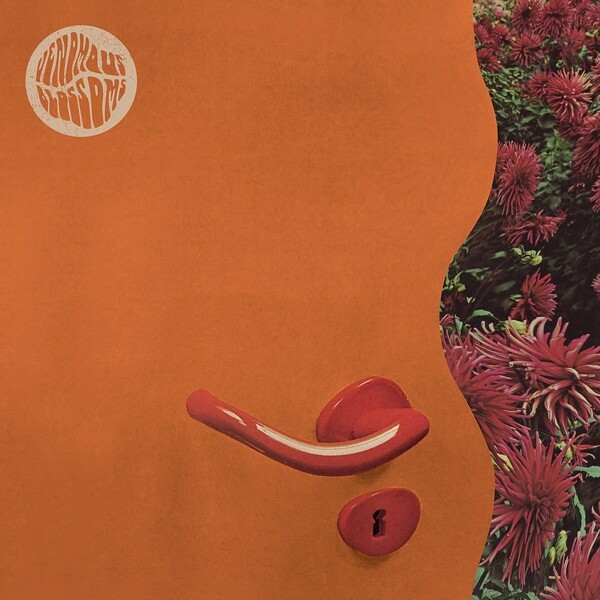 The one big truth that emerges throughout Venomous Blossoms is that Glade and Olson love to tinker with words and sounds, using studio tricks and textures to find their way to larger truths. The music is as visual as it is sonic, which makes sense when you consider that Glade and Olson both are visual artists as well as sonic artists. When he's not making music, Glade works as a graphic designer for the Charlotte ad agency Saturday Brand Communications in South End, the company that designed the bottle art for several NoDa craft beers. Glade's most recent design was for Lenny Boy. 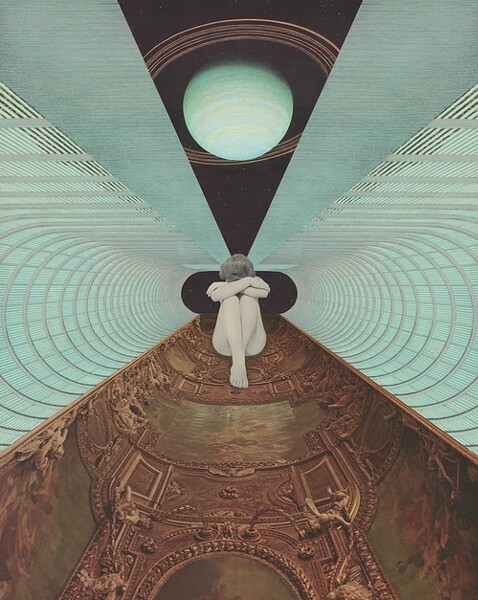 Olson is an internationally recognized collage artist whose work has appeared in numerous European avant-garde art magazines as well as the two-volume book The Age of Collage. 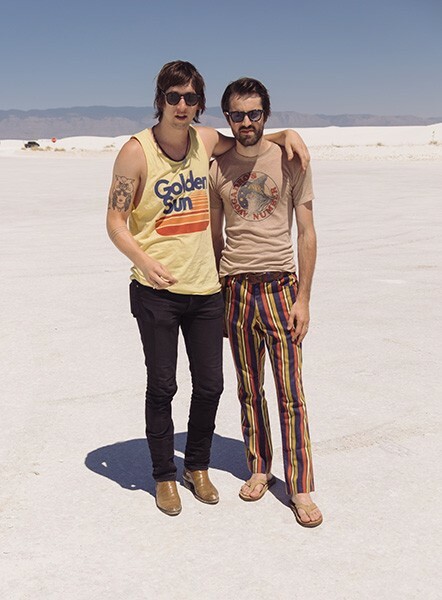 The two not only write music together, but they've combined their talents on rich designs for Shadowgraphs posters as well as doing artwork for other bands such as Edward Sharpe and the Magnetic Zeros. "All that commission money we make on our artwork we put into my studio at home or whatever project we're working on," Olson says. "It's like taking one creative thing to pay for another creative thing. And that's cool to us." Not only are Olson and Glade musicians and visual artists, they're also studio nerds. All of Shadowgraphs' music is recorded in Olson's home studio, where he has a massive, 32-channel Yamaha PM-2000 mixer and "tape machines out the ying-yang," according to Glade. "And there's another room that has lots of amps and Wurlitzers and stuff. It's just crazy," Glade adds. "It's funny, when we first met, I was all into digital stuff and Bryan was into analog, but I was always curious about analog. Now, I'm getting more into analog and he's getting more into digital." "Recording is just another hobby for us on top of everything else," Olson adds. "I think Wils and I work so well together because we can kind of bounce things off of each other, artistically, in so many different ways. Like, I'll have a collage thing I'm working on that I don't want to spend time doing the type for, and I'll give it to him and he'll make it great. Same thing with music. Wils will write a chorus and he's like, 'I need a verse,' so I'll come up with a verse. " Glade and Olson aren't sure they'll stay in Charlotte. After touring the West Coast, they say, they got the feeling the music they make might fit in better in Portland or Los Angeles. Sadly, that may be true. When I was doing research on the band, I ran across a description of their sound at one Charlotte media outlet as being "firmly rooted in the '70s-era funk, soul, and groove"; it also made reference to the '60s symphonic rock of the Moody Blues. One listen to Shadowgraphs' music revealed how terribly far off the mark all those descriptions are. Glade laughs. "You mean you didn't hear any of that? We didn't either," he says. "We saw that and were like, 'Soul?' I mean, that's cool and all, but we're not that." "We also got 'baroque pop,'" Oson says, "and we were like, 'Interesting. Never heard that before, but OK.
"We love Charlotte," Olson hastens to add. "There's a lot of great artists here and cool bands coming from out of here, and we're friends with a lot of bands here. But after we went on tour, we found that we really hit it off in L.A. and Portland more than we do here. So I think we're going to keep doing that run and eventually we may even venture off there for a little bit." The band's label, Golden Brown, was launched in Portland and recently relocated to L.A. It was started by Thom Sunderland, who previously worked for Lefse Records, the original label of Neon Indian. 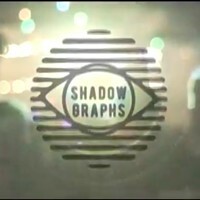 Golden Brown chose the Shadowgraphs album to be its first vinyl release. "I just feel like we gel more with the West Coast scene," Olson continues. 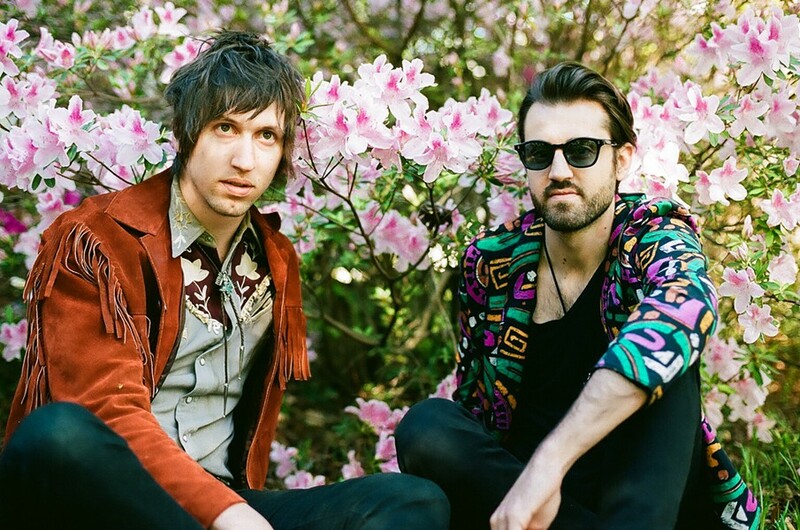 "We've been playing a lot on the East Coast for the past couple of years, and Charlotte's cool — we love Snug Harbor and we love a lot of other places around town — but I don't think we'll be here forever. We kind of want a change. I've been here for over ten years, so I think it would be good to have a big drastic change of scenery." Will Charlotte Ever Confront Out-of-Control Gentrification?